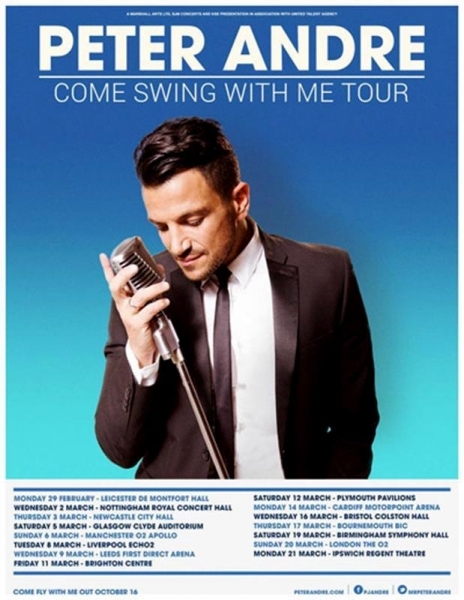 Dubbed ‘the hardest working man in pop’ Peter Andre came to The Royal Concert Hall last night on the second night of his Come Swing With Me tour, to show a near capacity audience that he has no intentions of slowing down. With the stage swathed in a black curtain, this Aussie singer who shot to fame here with hit single Mysterious Girl and those famous abs, made an entrance to high pitched screams from what was in the main a predominantly female audience. Unfortunately, a curtain malfunction did see two roadies trying to pull it down to reveal Andre who began with a cover of Prince’s 1999. And then for many confusion set in. This had been billed as a ‘swing’ tour so the expectations were of a Michael Baublesque performance, with Andre crooning along to the smooth songs from his latest album, Come Fly With Me. But this tended to be a greatest hits tour, with Andre’s Turn It Up and All I Ever Wanted being given an outing. 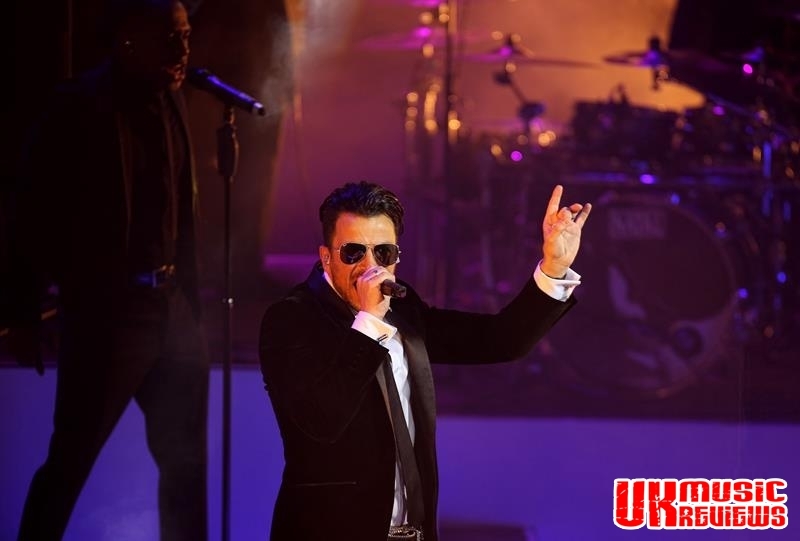 The show was upbeat, funky at times and certainly showcased Andre’s dancing abilities. The numbers were frantic such as Take It To The Top and the mash up of Never Gonna Give You Up and Let’s Go Dancin’ although the pace was slowed down when technical difficulties had him delighting us with Come Fly With Me and Cry Me A River. Backed by a very talented band, Andre left the stage to backing singers Royston, who treated us to his version of The Commodores Brick House, whilst Wendy strutted her stuff to Rose Royce’s Car Wash.
Back on stage in one of a few costume changes, he launched into Michael Jackson’s Do You Wanna Be Starting Something and Shake Your Body (Down To The Ground) to the delight of this audience. Andre was engaging between songs and had lovely banter with the audience. Whilst his vocals were not the strongest he more than made up for this with his high energy and dance moves. Whilst a slowed down version of Mysterious Girl was the highlight of the night, what Andre had promised at the beginning was a party and he didn’t fail to deliver as this appreciative audience danced away. 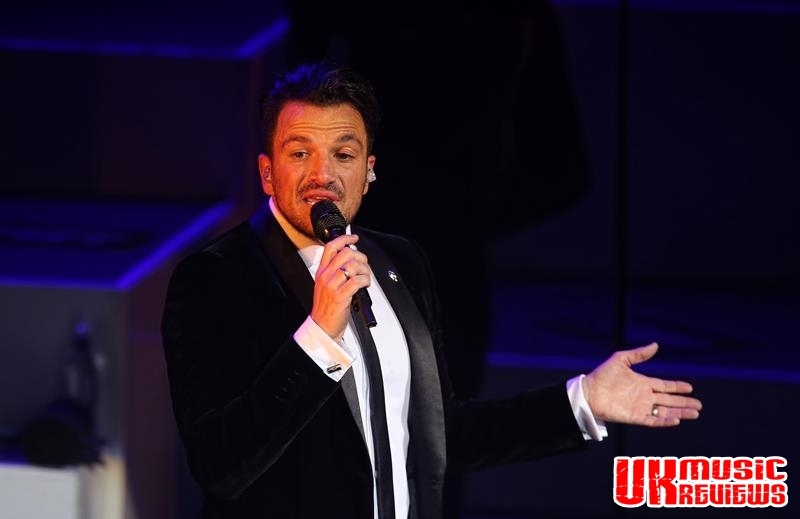 We may not have got swing, but we did get a night of entertainment with Peter Andre getting a well-deserved standing ovation. With this crowd he could have sung the phone book and got away with it.